We are a registered charity which promotes the life and work of Geoffrey Chaucer. 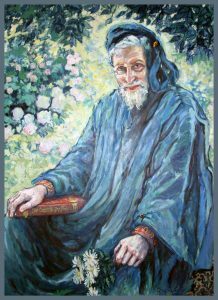 Our mission statement is to further among the general public interest, understanding and appreciation of the works of Geoffrey Chaucer, his life and times and influence, and his position in English and world literature. Photographed by Pauline Joy (Niece of Martin Starkie). The Chaucer Heritage Trust was established in 1992 by Martin Starkie, an actor, director and playwright. 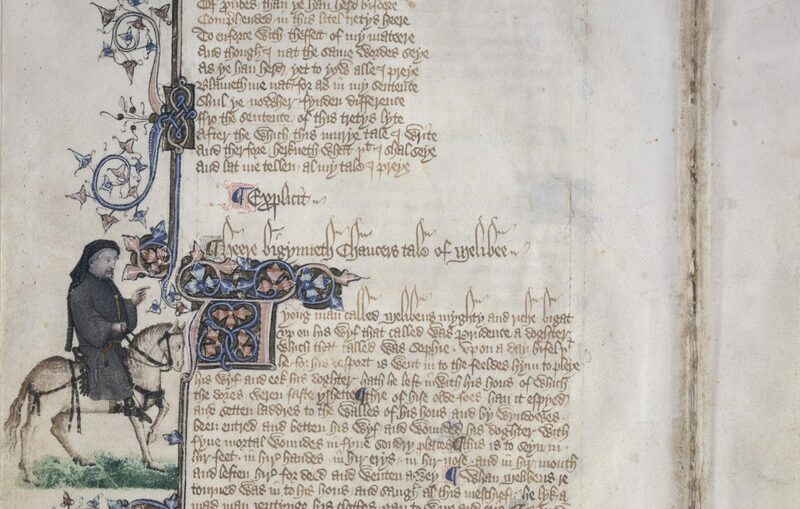 Long before The Chaucer Heritage Trust came into being Martin pursued its objectives – promoting among the general public interest, understanding and appreciation of the works of Geoffrey Chaucer, his life and times and influence, and his position in English and world literature. Martin was passionate about these objectives and worked, using his own funds, to foster them. Martin, together with his Oxford tutor, Professor Neville Coghill, devised dramatic versions of The Canterbury Tales in order to bring Chaucer’s work to a wider public. The first was performed at the Oxford Playhouse in 1964 with Richard Burton and Elizabeth Taylor in the lead roles. The second expanded version, a musical, opened in London’s West End in 1968 and ran for over five years. Burton and Taylor attended the premiere. 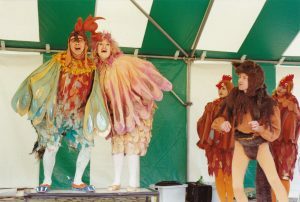 The show subsequently ran throughout the world in all English speaking countries and was translated for productions in Germany, Sweden, Prague, Hungary, the Czech Republic and Norway. 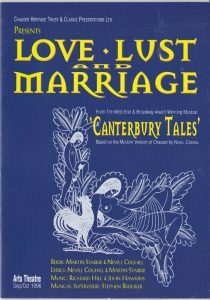 In 1982 Martin and Prunella Scales recorded an audiobook of The Canterbury Tales and Martin recorded a later version with Fenella Fielding in 1995. Again, as with the stage productions, the objective was to encourage public interest in, and appreciation of, Chaucer’s work. 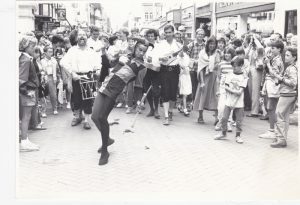 In 1985, and again in the following year, Martin mounted two highly successful Chaucer Festivals in Canterbury featuring talks, medieval processions, medieval suppers, church services and dramatic productions. Among the contributors were Professor Derek Brewer, Terry Jones, Prunella Scales, Timothy West, Fenella Fielding, Miriam Karlin and many local people. For the next ten years Martin continued to mount productions of The Canterbury Tales and its sequel The Homeward Ride in a number of theaters in the South East and at the Mermaid Theatre and the Arts Theatre in London. He contributed to commemoration services for Chaucer in Southwark and Canterbury and opened a Chaucer shop in Canterbury. All of these activities were entirely funded by Martin Starkie. He was unable to continue after 1995 so the trust was inactive, but when he died in 2010 he endowed the Trust with money to continue with his mission. The trustees, two of whom worked closely with Martin, are committed to continue Martin’s work. Their objective, as originally defined by Martin, is the furthering among the general public interest, understanding and appreciation of the works of Geoffrey Chaucer, his life and times and influence, and his position in English and world literature.